Join us on an enjoyable two-hour walk around the local area to learn what grows nearby that can be eaten, and how to identify it. 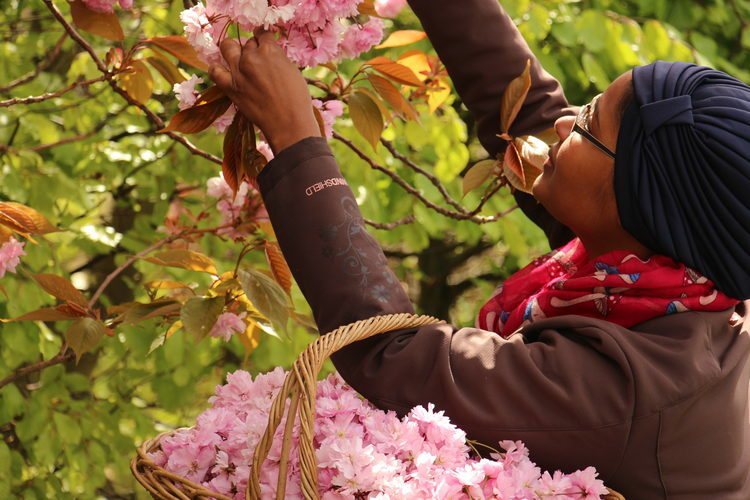 This special event will be led by the well-known forager and wild food specialist Mina Said-Allsopp (http://www.msitu.co.uk). Mina is highly knowledgeable and her walks are always great fun. To book your place email hello@vegontheedge.org and simply pay in cash on the day. £20 per person taking part. Places are limited so booking is advised. 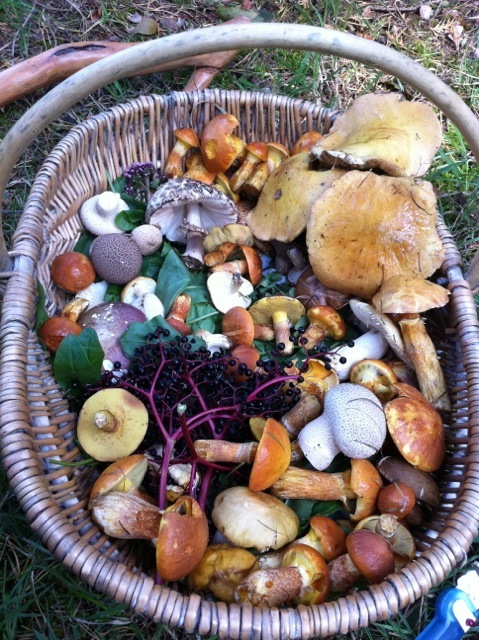 This entry was posted in Events and tagged Foraging, Mina Said-Allsopp, Saltaire, Wild Food Walk on September 3, 2016 by Veg on the Edge. The seasons are changing and there’s a crispness in the air! It’s time to hunker down and prepare for winter. But things aren’t going too quiet at Veg on the Edge. We’re very excited to announce a sister site to the Sunday School Garden. Located at Saltaire railway station, the new site will be called Veg on the Edge at Platform 1, in association with Shipley College. We’ll be growing a range of edible plants for the raised bed just by the entrance to the platform. We’d love you to come along and join in. We’ve also got a new winter timetable. Now the nights have drawn in, we’ve ended our Wednesday evening gardening sessions. However there’s still lots to do during winter, so we’ll continue to meet on the first Sunday of every month from 11am to 12pm. We’ll be tidying up the beds and gradually rotating the contents. 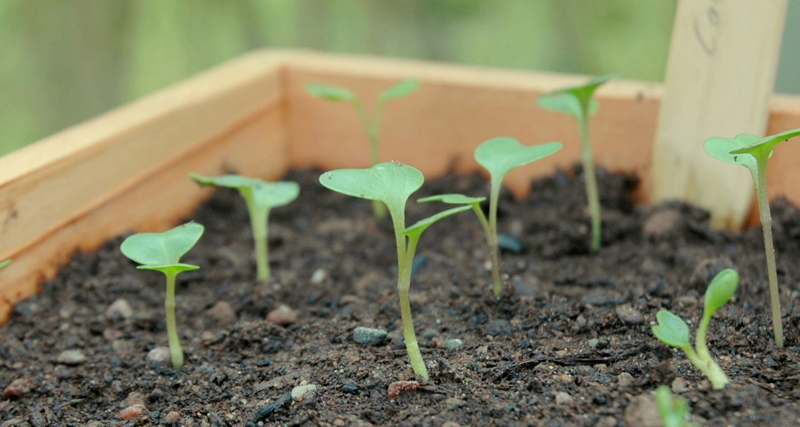 We’ve already started planting out winter crops like kale, chard and rocket, and there’s more to go in. We’ll also be collecting any seeds for next year. 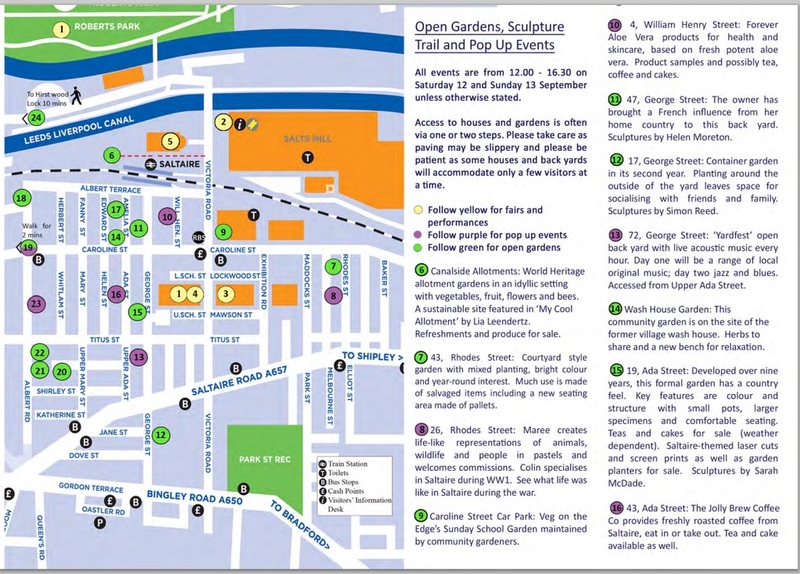 Finally, we’re organising a tasty little programme of walks, talks and making activities, so we can get together during the cold months. We’ll share the details on the blog as soon as we know more or sign up to our newsletter to get an update by email. Phew. No chance of hibernating! 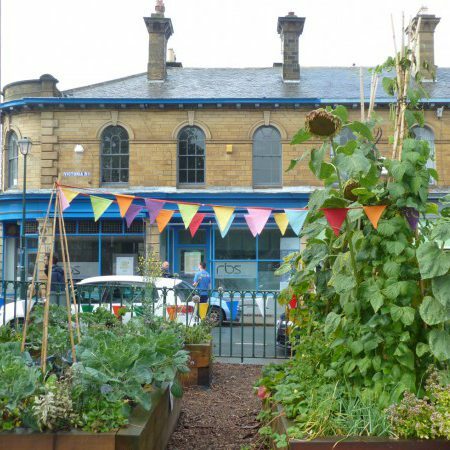 This entry was posted in News and tagged Community Food Garden, Platform 1 Saltaire Station, Saltaire, Saltaire Station, Shipley, Shipley College, Sunday School Community Food Garden, Veg on the Edge, VotE on October 26, 2015 by Veg on the Edge. The evenings are getting lighter, Spring is in the air, and Veg on the Edge is on the move. 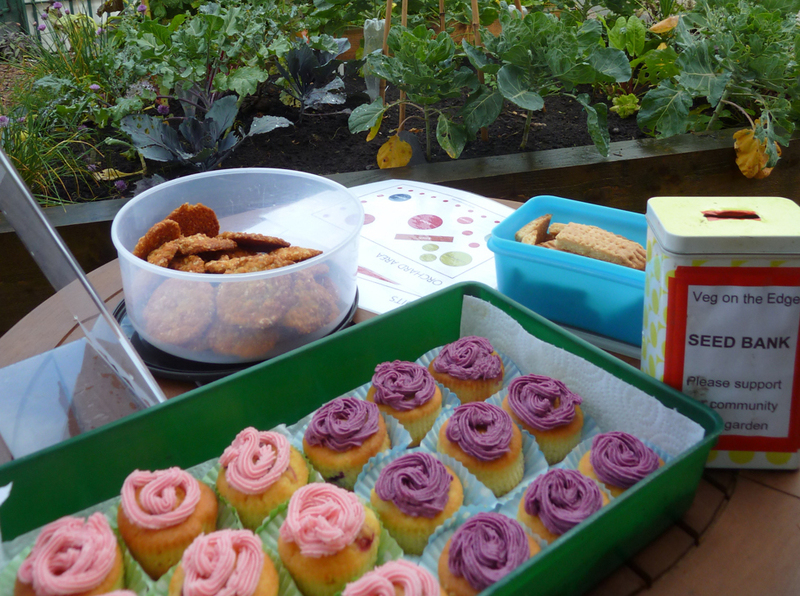 We recently met with the lovely folks at Taste of Saltaire, a project set up and run by Sustainable Saltaire. We were truly inspired by their transformation of a scrubby bit of land by the Caroline Street car park into a thriving food growing space. We’ve offered to support Taste of Saltaire in maintaining the Caroline Street site, and will be working alongside them at their regular drop-in sessions on Wednesday evenings at 6pm. From here we hope to work together to identify and develop other similar sites in the locality, small or large. We’re also continuing discussions with a number of landowners and potential partners in the area. We haven’t yet given up on our quest for a substantial site to develop an urban community food garden in Shipley/Saltaire. In the meantime, enjoy the April sun and showers. If you’re passing by the Caroline Street site on a Wednesday evening, do stop and say hello! 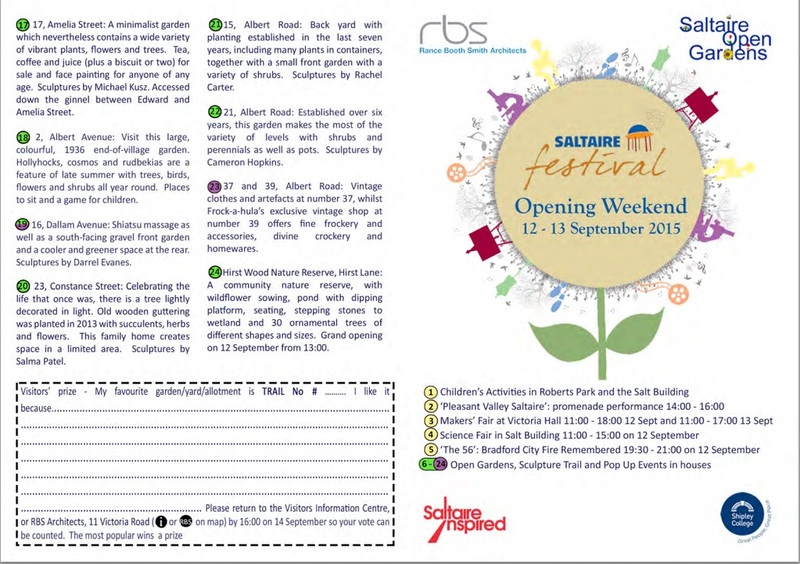 This entry was posted in News and tagged Saltaire, Sustainable Saltaire on April 13, 2015 by Veg on the Edge.